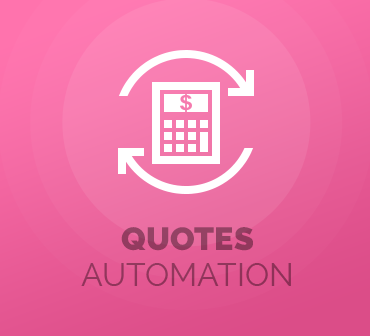 Quotes Automation For WHMCS has been developed to shorten and simplify the entire process between quote preparation and order processing. 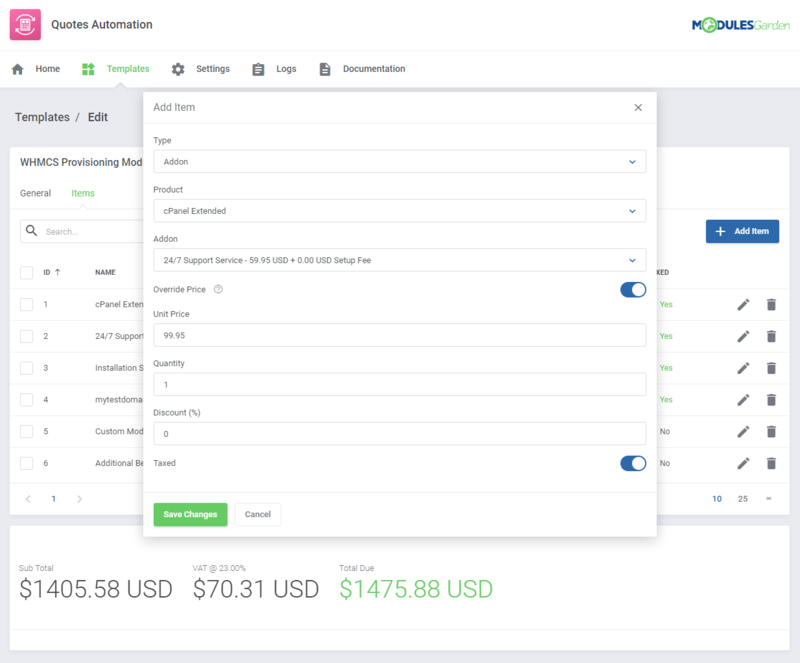 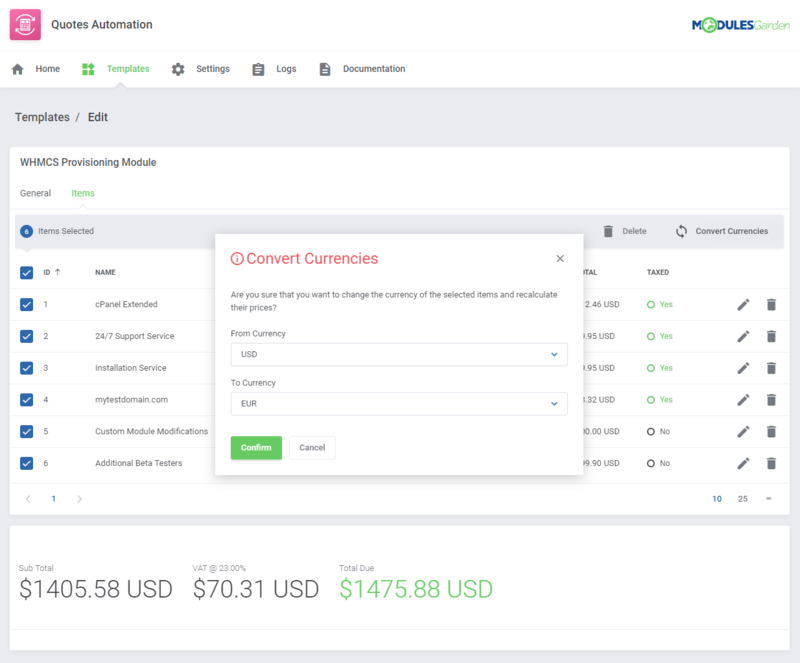 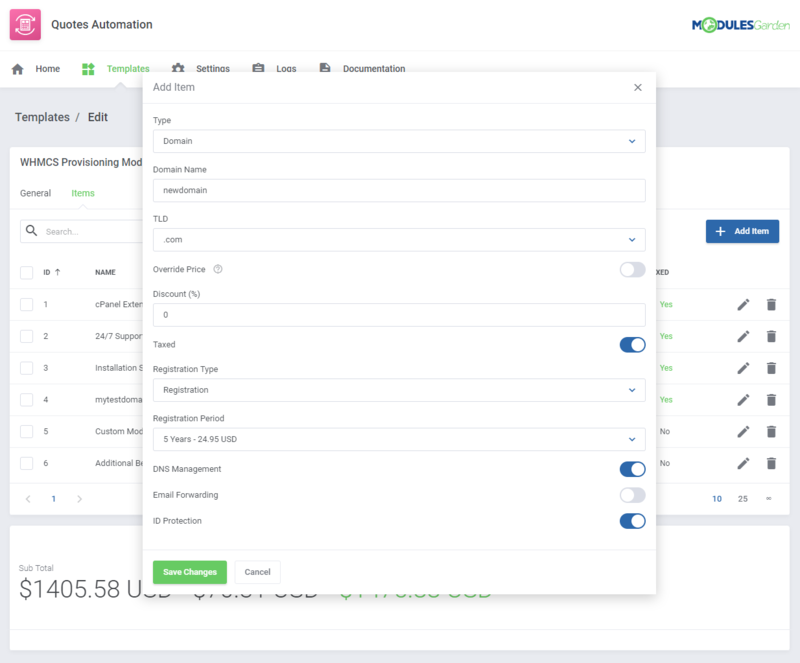 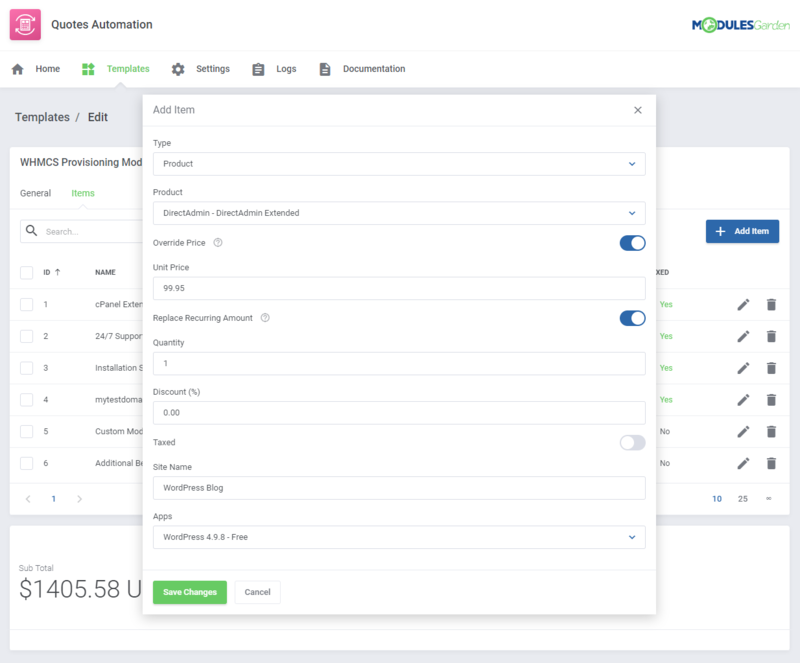 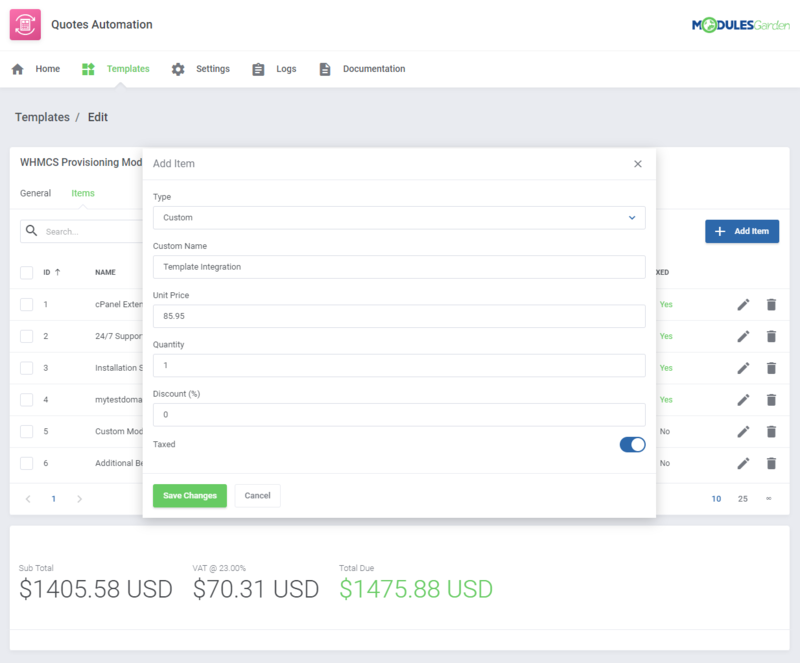 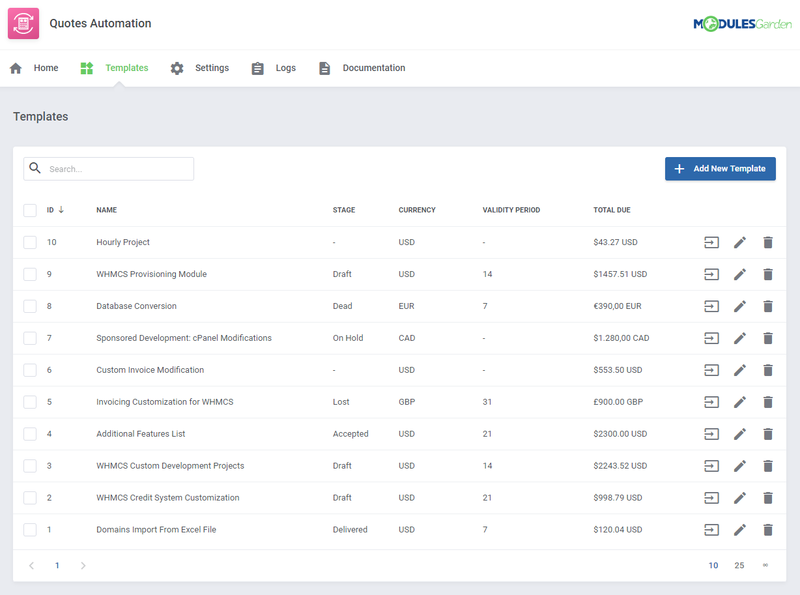 With it, both the administrators and your clients will be allowed to place orders and then automatically generate invoices, all from the quote page directly. 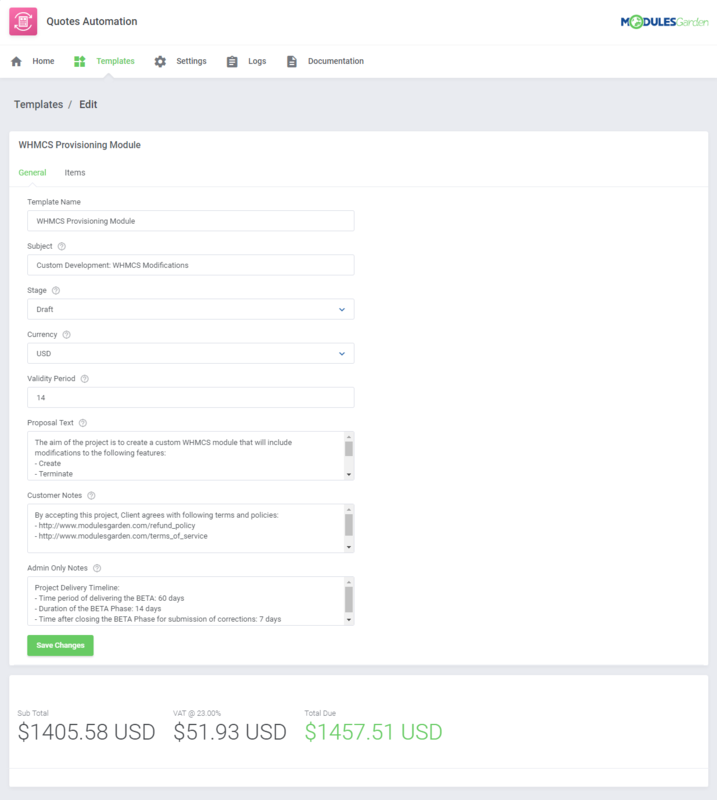 The module will empower you to create and modify as many quote templates as you require, each with an adjustable set of products, addons, domains, or even custom items. 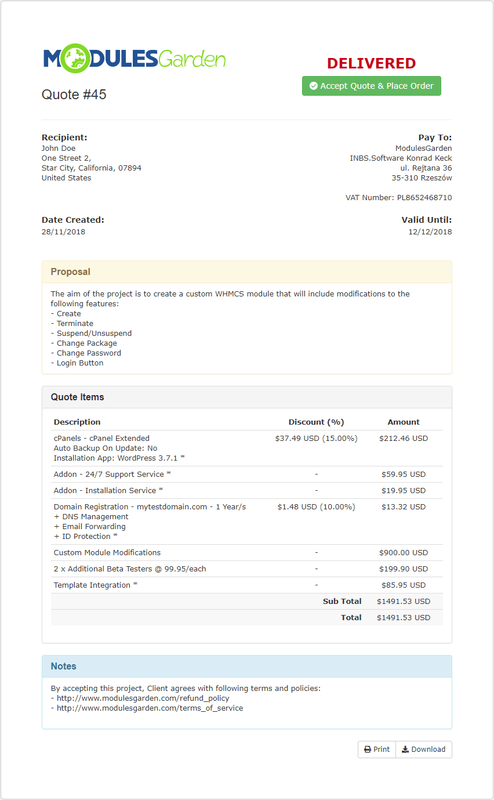 You will be free to regulate your own relations of any specific quote item with an existing WHMCS product, addon, or domain, as well as manage discounts, recurring payments and other billing details applicable to a quote. 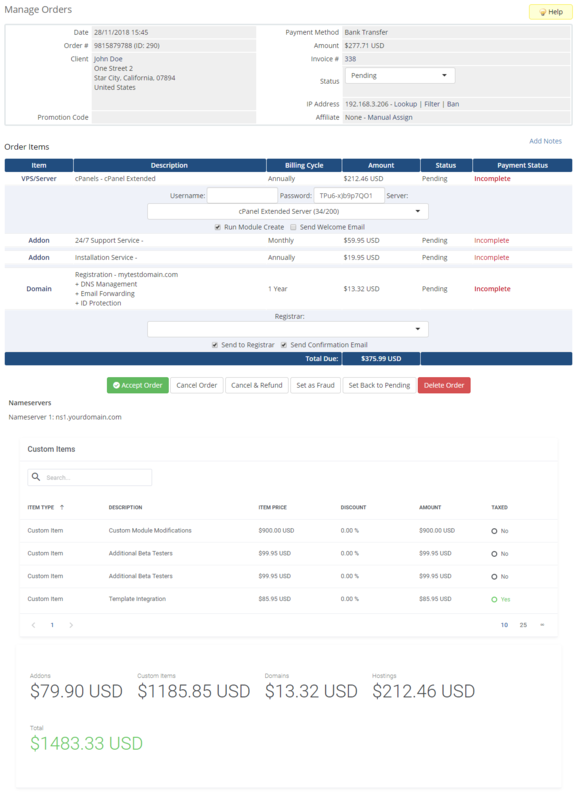 It is your move now. 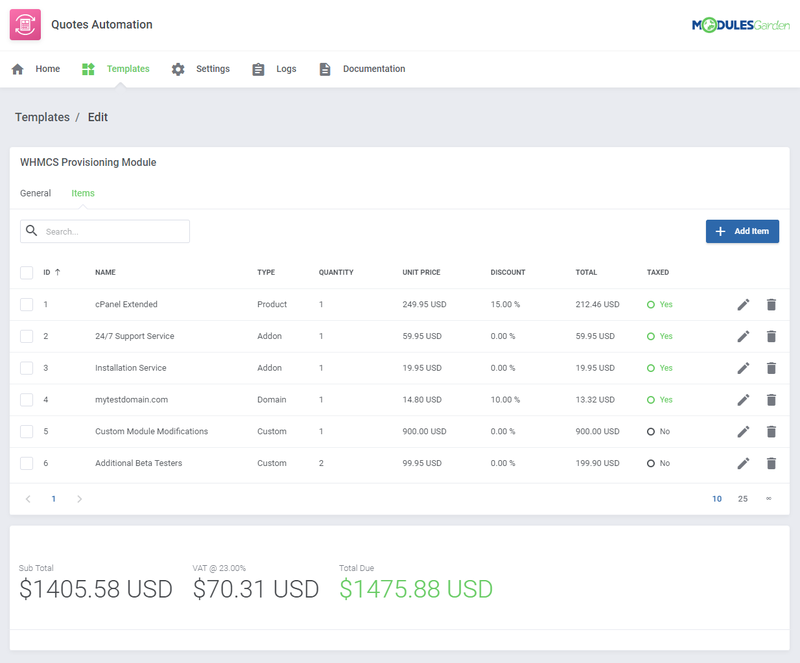 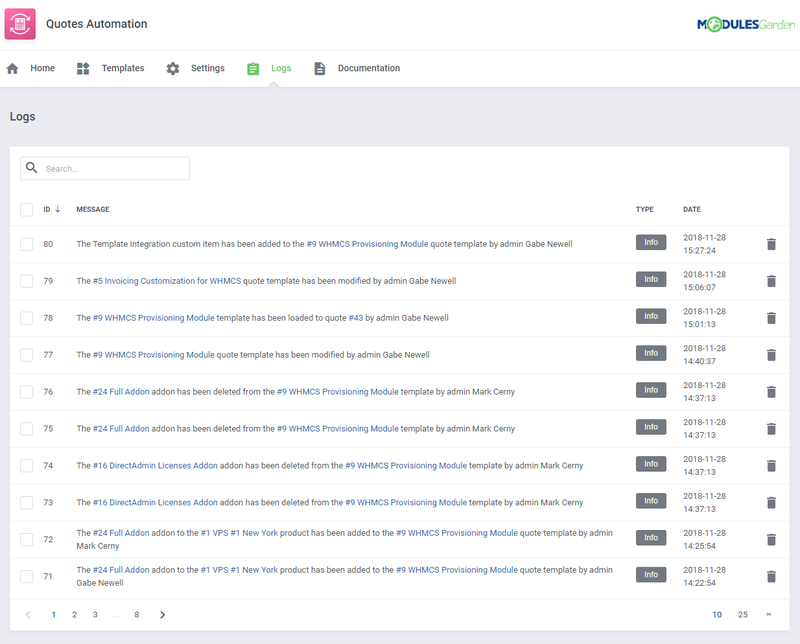 Order Quotes Automation For WHMCS and follow the shortest route from a quote to an order! 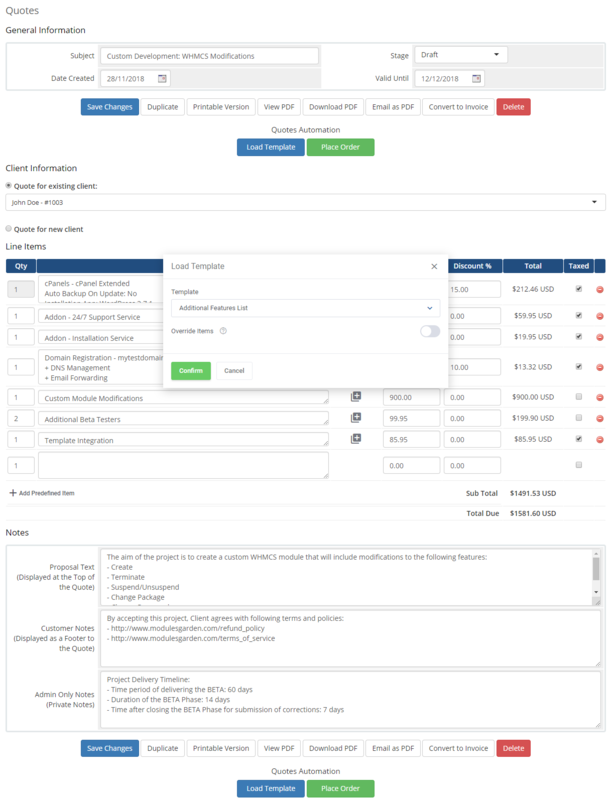 Save so much time for our sales guys to simply load a complex quote template, and change a few simple things.